BLACKSQUARE have been woking closely with LAGO-Import to produce new packaging for their latest offering, The Chess Malt Collection. 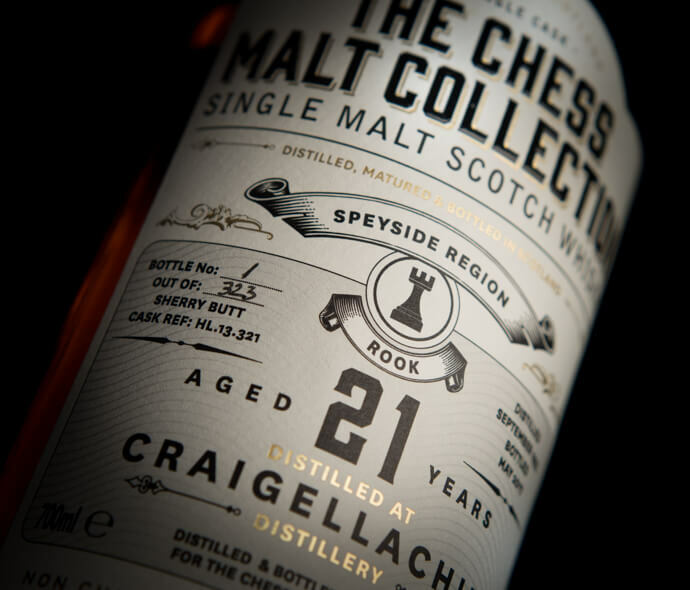 In the coming years you will be able to collect each of the 32 chess pieces as a beautiful Single Malt Scotch Whisky bottling. In black and white with a fantastic presentation, you will have two kings, two queens, four rooks, four knights, four bishops and no less than sixteen pawns.